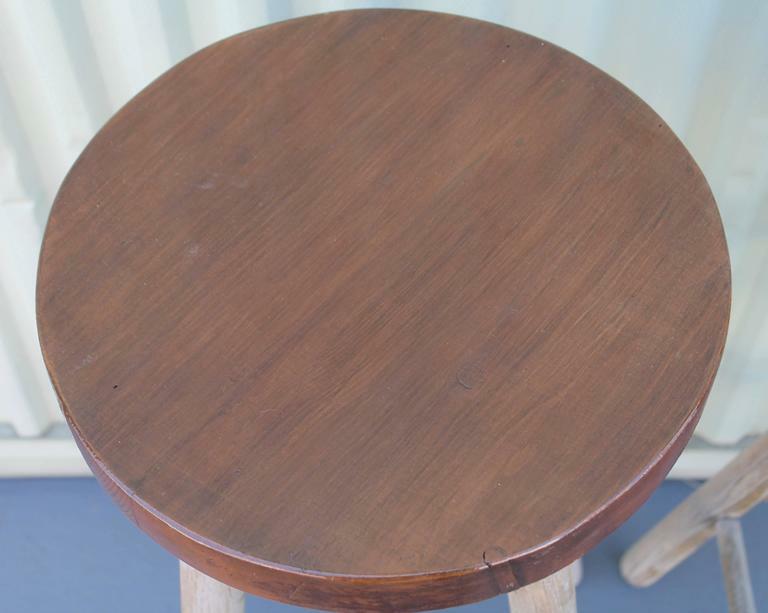 The condition is good with minor wear consistent with age and use. 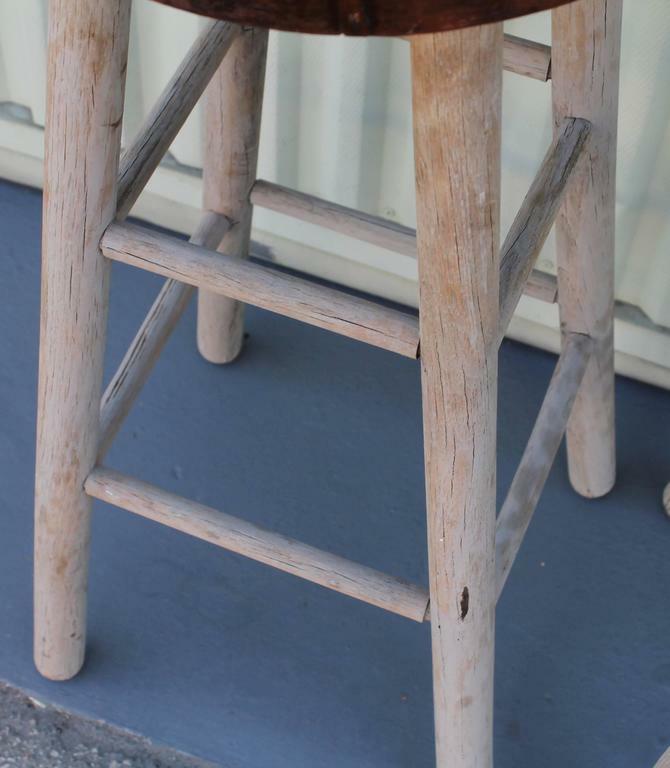 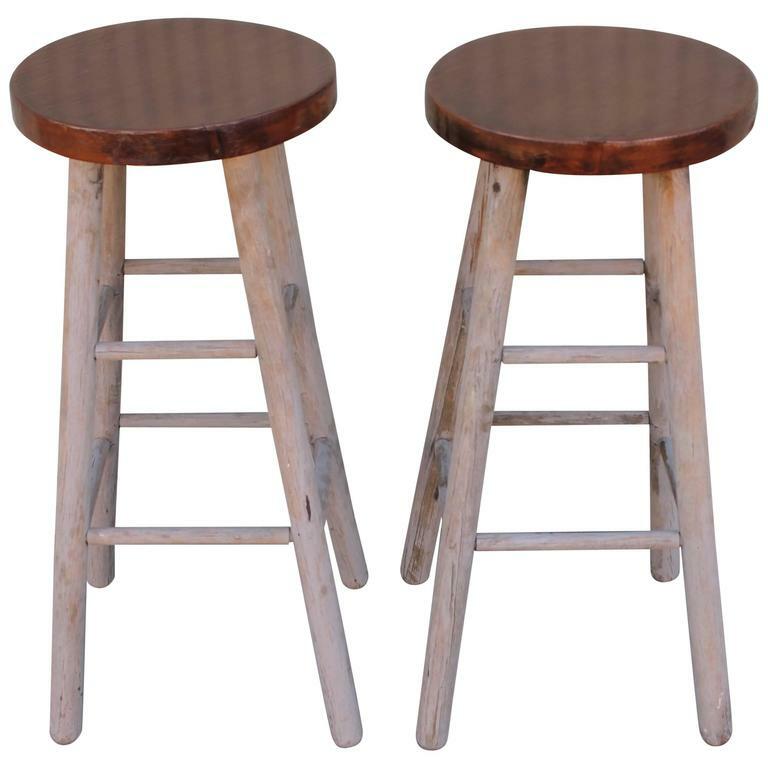 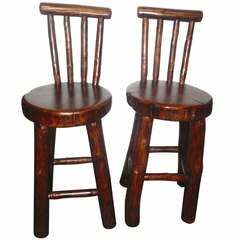 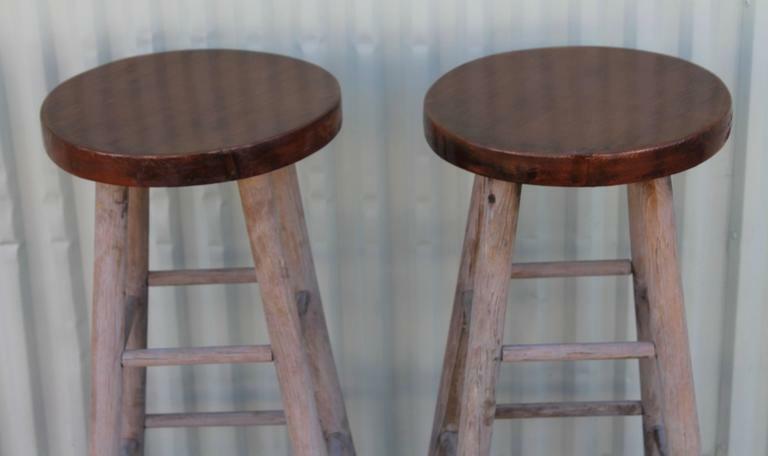 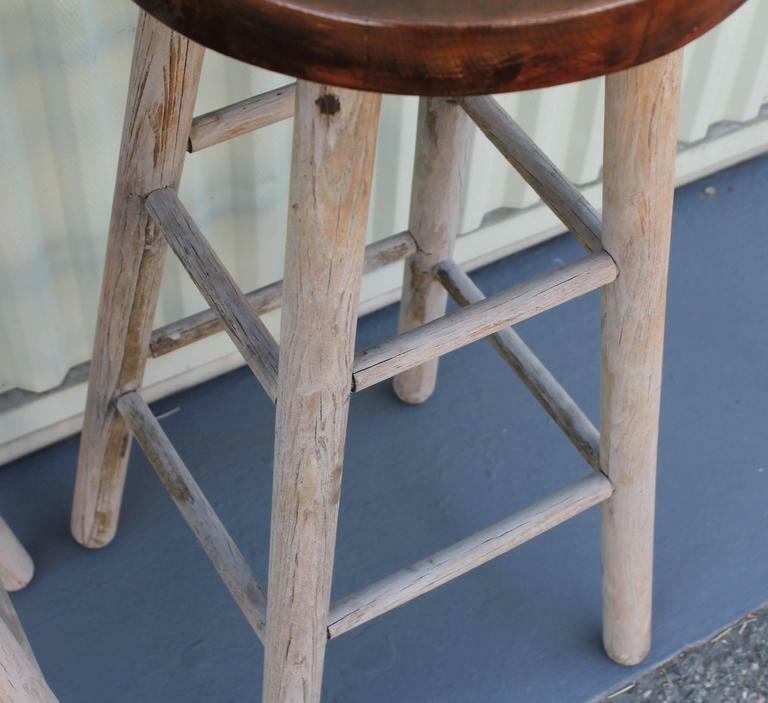 These bar stools are stamped on base from a old school room and are original white base with natural worn oak seats. 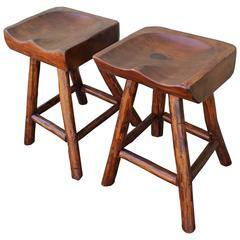 These stools are so comfortable.